PezCycling News - What's Cool In Road Cycling : EUROTRASH News Round-Up Monday! Cyclocross is at 'Full Gas' with two top races at the weekend in Sint Niklaas and Ruddervoorde, we have all the reports, results, rider quotes and video. 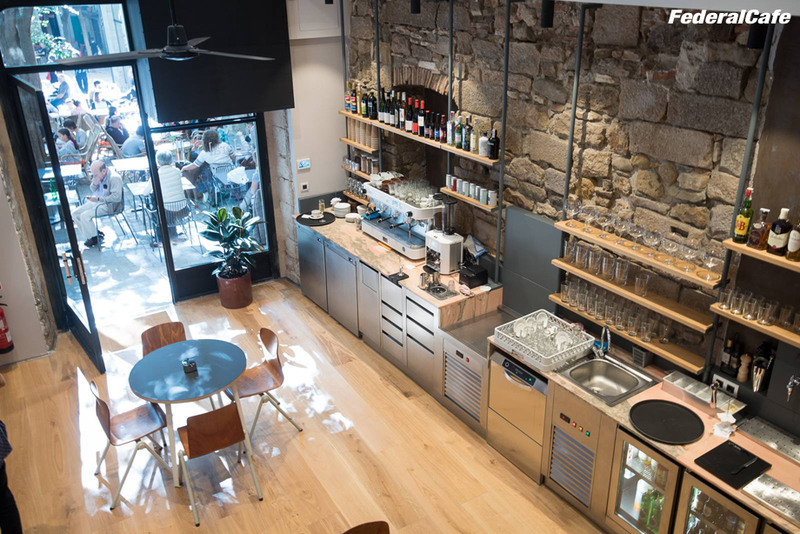 Rory Sutherland's new cafe in Girona is our Top Story. In other cycling news: Sky and Movistar show off their new clothing for 2017, Bahrain Merida announce new DS and look at the up-and-coming season, Movistar re-sign Rubén Fernández, TJ Sports have a pre-season meeting and Valerio Conti medical up-date. We finish with a video look-back at 2016 by the Direct Energie team. Monday EuroTrash coffee? There are many reasons to make a visit to Girona in the Catalonian region of Spain, especially if you are a cyclist. Great training roads, perfect weather, good airport and train links, history and culture and the food. No wonder so many pro cyclists live in the area. Now there is another good reason to make a visit to Girona; Movistar dynamo and all-round nice guy, Rory Sutherland has opened the Federal Cafe. Not just a cafe, but a full restaurant open from breakfast through to past dinner time. The Federal Cafe is in a cobbled street in the Girona 'Old Town' a perfect setting for a coffee or a full meal. In 2016, Sutherland rode a long and successful season, starting with the Tour Down Under and through Ruta del Sol, Tirreno-Adriatico, Vuelta al Pais Vasco, Amstel, Flèche-Wallonne and Liege, then helped Alejandro Valverde to 3rd in the Giro d'Italia and Nairo Quintana win the Vuelta a España, plus a ton of other races. If you are a fan of the big man from Canberra, don't worry he's not about to hang up his race wheels just yet with an on-going two year contract with Movistar, but there could be a future in the catering trade. Address: Federal Cafe, 9 Carrer Força, Girona, Spain. Open Mon - Sat: 8:30 to 23:00. Sun: 8:30 to 17:00. Hopefully PEZ will be making a visit to the Federal Cafe soon for a full review. 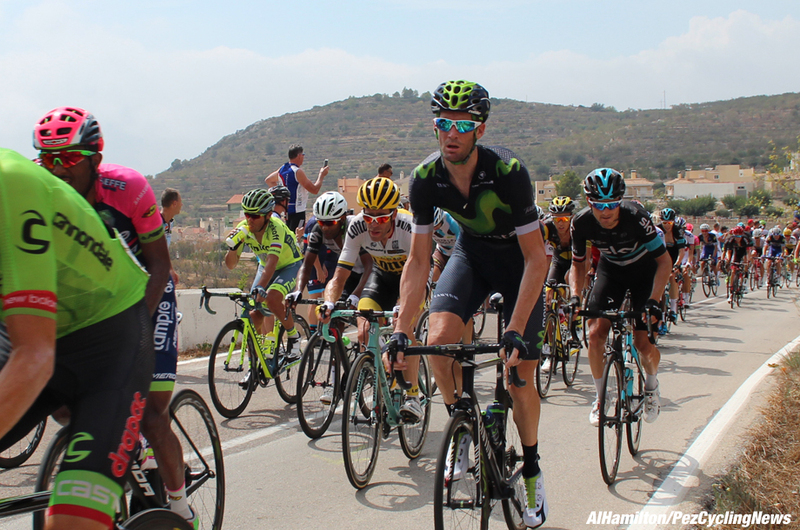 We spoke to Rory at the start of the 2015 season, his first with Movistar. It was back to business as usual on Sunday in the Hansgrohe Superprestige race in Ruddervoorde as Mathieu van der Poel (Beobank-Corendon) and Wout Van Aert (Crelan-Vastgoedservice) had missed Saturday's race in Sint Niklaas. Dutch champion, van der Poel took the win due to the World champion making a badly timed bike change. Laurens Sweeck (Era Real Estate-Circus) was third. Van der Poel, Van Aert, Michael Vanthourenhout (Marlux-Napoleon Games), Kevin Pauwels (Marlux-Napoleon Games) and Lars van der Haar (Giant-Alpecin) were in charge from the beginning and it was Van der Poel who started the action with an attack on the second lap. Van der Poel went solo with Van Aert just behind him. Van der Haar, Pauwels and Vanthourenhout were over 10 seconds down. On the third lap; Van der Poel and Van Aert were still playing cat and mouse as Sweeck and Toon Aerts (Telenet-Fidea) caught Pauwels, Vanthourenhout and Van der Haar. Van der Poel made a mistake on the fourth lap which allowed Van Aert to catch him and two rode together until Van Aert took a bike change on the sixth lap which took too long. 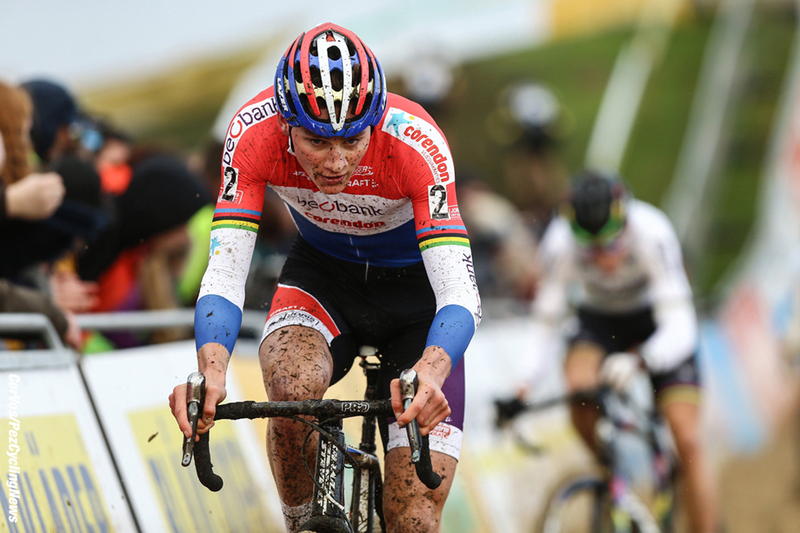 Van der Poel saw his chance and pilled on the pressure and had a lead of 10 seconds with one lap to go. Van der Poel had nearly half a minute on Van Aert at the finish as Sweeck came in 3rd at 54 seconds. 2015 winner Kevin Pauwels (Marlux-Napoleon Games) crashed on the final lap to finished 4th at 1:09, with Jens Adams (Crelan-Vastgoedservice) in 5ht, followed by Toon Aerts and David van der Poel. In the overall Superprestige standing, Van der Poel is on 45 points, with Van Aert on 42 in 2nd. Sweeck is 3rd on 36 points. Jens Adams is on 33 points in 4th and Klaas Vantornout (Marlux-Napoleon Games) is 5th with his 28 points. Ruddervoorde winner, Mathieu van der Poel (Beobank-Corendon): "This felt great. It was also a course that is tailor-made for me. After the Koppenberg, I’ve never slept as much as I did in these three days. That was the right decision. I had actually not seen it, only when I saw the gap, I knew I had to continue. I know that some people do not find it fair, I know. But initially I was not really aware of it. Of course it was his choice to switch, not mine ... And I had no doubt. I still made still quite a lot of mistakes - too many for my taste - and had no super day. I have to blame myself for that. I very often ride on the limit and sometimes over it and I have to take responsibility for the crash." 2nd, Wout Van Aert (Crelan-Vastgoedservice): "It was my own fault. I thought I would take a clean bike but lost more time than expected. I should never have done that. Mathieu was slightly faster and deserved to win. I had with my pedal behind a safety bag hanging on a pole and so my chain came off. That can happen, but it was certainly not a technical error. It was just bad luck. Th race was already over. I had already given up since I did not get any closer." Van Aert will be at a Spanish training camp next week: "It will be good for me after a busy season. I can work quietly, with warm temperatures, and only need to think of cyclo-cross. On Saturday I will go back to Belgium and on Sunday I will ride in Gavere. I will skip the Jaarmarktcross in Niel." 3rd, Laurens Sweeck (Era Real Estate-Circus): "I can live with that third place, I was the third best. I got a bit close but then they were looking at each other and I was there on the limit. It was one of the toughest editions. With all that sliding into the corners it was easy to make a mistake and that explains the big differences." 10. Dieter Vanthourenhout (Bel) Marlux-Napoleon Games at 2:13. 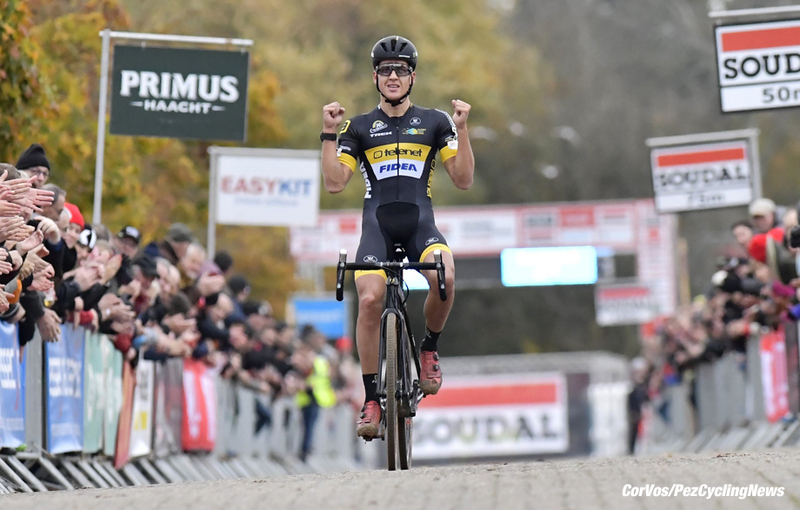 Tom Meeusen (Telenet-Fidea) won the Soudal Classics Waaslandcross on Saturday in Sint Niklaas. World champion Wout Van Aert and Mathieu van der Poel were missing from the start line, waiting for Sunday’s Superprestige race in Ruddervoorde. Meeusen was the better rider on the sand and on the running sections, he was also stronger on the steep climbs. The Telenet Fidea rider was never in trouble and had a lead of 44 seconds over Rob Peeters (Crelan-Vastgoedservice) which gave the man from Brasschaat the opportunity to enjoy his win with the fans. Meeusen's teammate and European champion, Toon Aerts, was third at 56 seconds. Race winner, Tom Meeusen (Telenet-Fidea Lions): "I deliberately skipped the European Championships last week but I have trained very hard. Thus, I was tired at the start of the Koppenbergcross and I did not have great result. That disturbed my head a bit but this win makes up for it. With lots of sand sections, the course suited me. It was nice to race on such a course. I thought that Rob would keep fighting. It was just a matter of making no mistakes. I didn’t make any and kept a solid pace. Therefore he could not come back. I have already won and been on the podium there (Sunday's race in ruddervoorde), but probably I'll feel today’s effort. But that does not matter, I will give everything. But two from two is not at issue with Wout van Aert and Mathieu van der Poel at the start. We'll see." 2nd, Rob Peeters (Crelan-Vastgoedservice): "Last year I would already have given up hope, but now I’m not. I am not disturbed by what they say. I love this race. You just start and have the legs. Then you have to keep going. That does not work every week. With Tom and me, it was wait and see who would make the first mistake. But he didn’t. I rode faster and faster through the sand sections, but he did so too. Eventually I was about to crash. I found my courage again, but I could not catch Tom bijhalen. Behind me there was a big gap. Then I just rode to conserve what I had. To make my mark every week is not possible. I must wait and seize my chance when it is there. To put myself under pressure does not work. If I am bad, I go home directly and I do not think more about it." 3rd, Toon Aerts (Telenet Fidea Lions): "Personally, I was not fresh enough to ride the entire race in the lead. In the final I had it in the legs, but not in the entire race. The course was not suited to me. Such a race just before the race in Ruddervoorde is just too difficult. The organizers should sometimes take that into account." 10. Gianni Vermeersch (Bel) Team Steylaerts at 1:57. 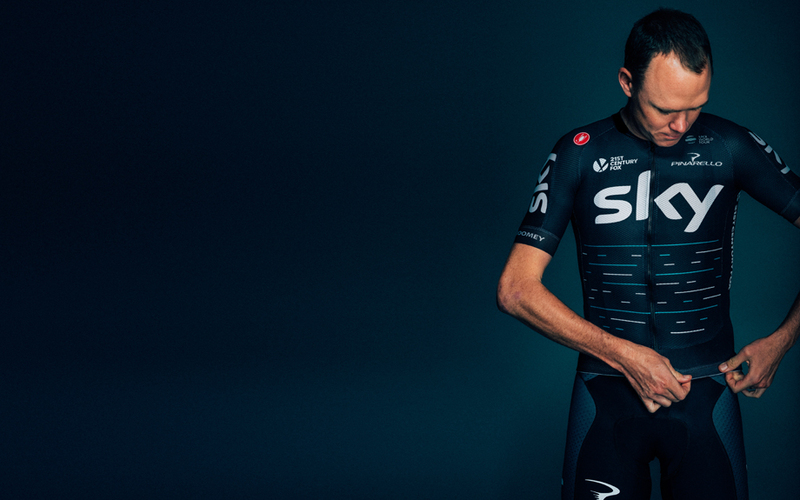 Team Sky are delighted to announce a new performance kit partnership with Castelli. The team will be the only WorldTour outfit wearing Castelli clothing and will race and train in the brand's kit from January 2017. Team Principal Sir Dave Brailsford said: “We’re really excited to be able to announce this partnership between Team Sky and Castelli. 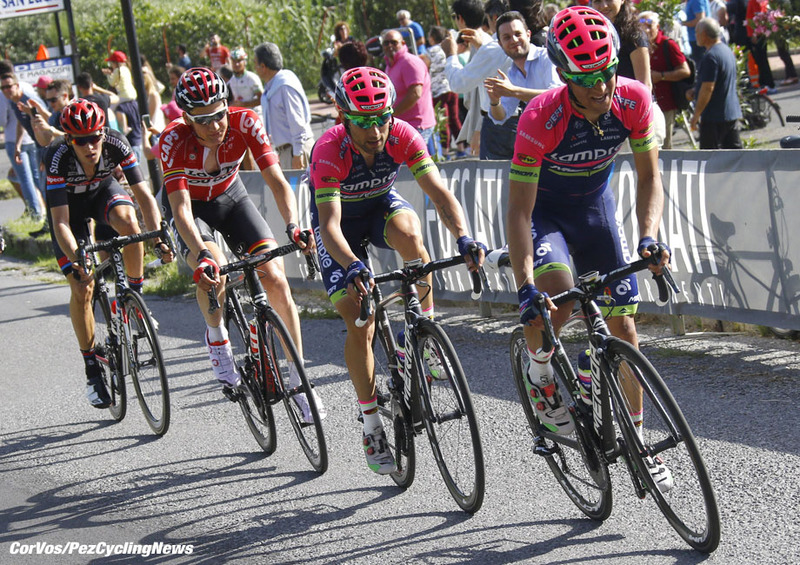 “Castelli will be more than a kit supplier, they will be an innovation partner. Castelli has a long history of breaking new ground when it comes to kit and design. We will continue to push hard to make sure our riders have the best clothing and equipment, and we’re already excited about some of the ideas Castelli are working on with us." Castelli will supply Team Sky’s race kit, which will feature a brand new design for the 2017 season. 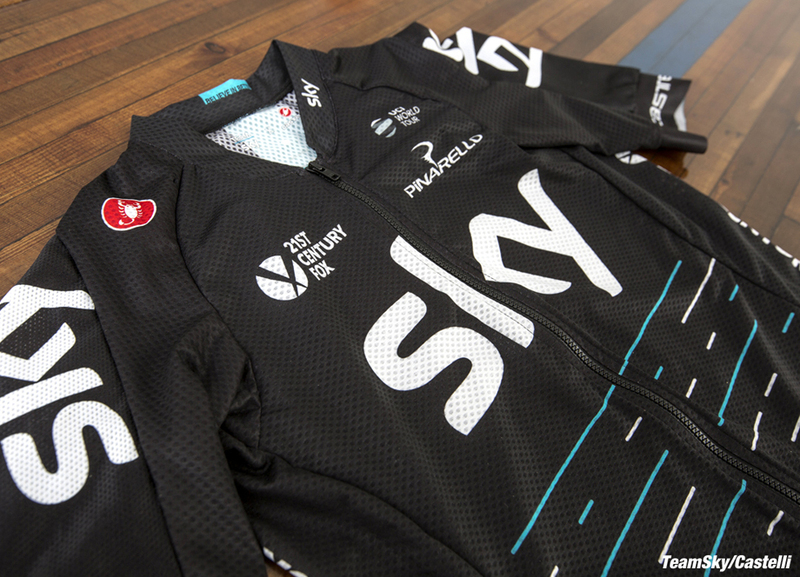 The jersey design contains a mix of British and Italian influences, and the graphic celebrates every victory from Team Sky’s first seven seasons. The classic Breton shirt served as the inspiration but has been reimagined in a data pattern with each stripe on the jersey, short, mitts, socks and cap representing a specific Team Sky victory. The longest lines are the four Tour de France victories, with Chris Froome’s 2016 victory immediately below the Sky logo on the chest. Brailsford added: “We spent a lot of time thinking about our new kit and what we wanted it to represent visually. We wanted to find a way of celebrating the success we have had as a team, but also to make sure we keep our mind firmly on the future. As a team we still have an enormous amount of goals we want to achieve and, through the design of our new kit, those will always be at the forefront of our thinking. “We’ve maintained the design elements which our kits have become well known for, such as the blue line, but produced something ambitious and unique to Team Sky. “We’re delighted with the results and we hope our fans will love it as much as the riders do.” Andrea Peron, Castelli’s race performance director, said that the performance goals of Team Sky are a “natural fit” for Castelli. The short dashes on the jersey represent one day race and stage victories, while the medium length lines represent multi day stage races, with the number of stages determining the length of the line. WorldTour races are blue lines, while non WorldTour races are white. The front of the jersey is made up of victories by 2017 team members with the exception of Sir Bradley Wiggins’ 2012 Tour win which has a special place in Team Sky history. Improved aerodynamics and full protagonism to the green ‘M’ underlined on new jersey's design, which preserves essence from previous models produced by the Scottish firm. The Rouleur Classic cycling exhibition in London played host to the official launch of the Movistar Team’s 2017 kit, designed and produced by Endura in Scotland, on Friday. Endura Managing Director Jim McFarlane and former Hour Record holder Alex Dowsett led the presentation, followed by a live Q&A. 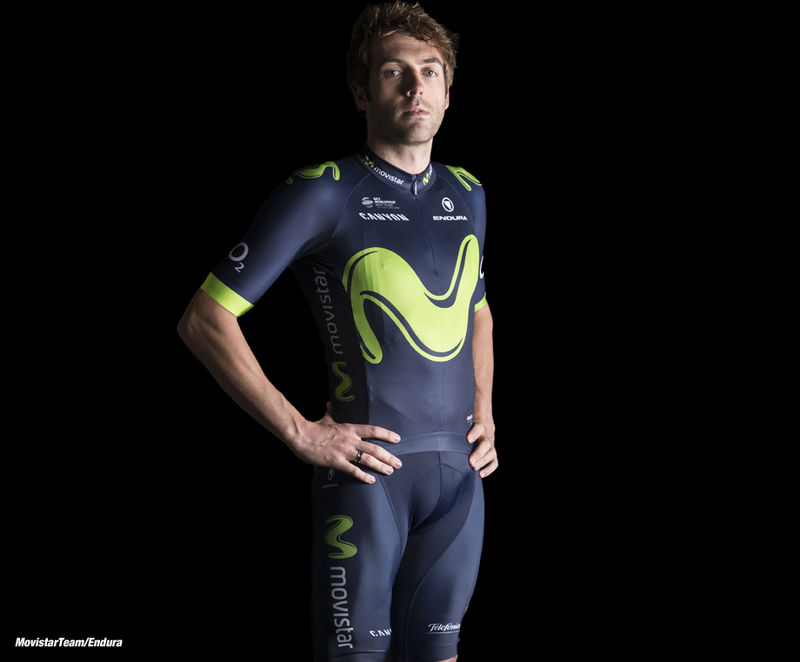 Both the Canyon Speedmax WHR bike used in May 2015 and an Endura life-sized 3D laser printed mannequin of Alex were on display at the Endura stand alongside the new kit, which reduces its white tones to amplify the exposure of Movistar’s flatter, green ‘M’ on the navy blue jersey. Visibility on training sessions remains safe, as a fluorescent green pad has been added on the lower end of the jersey’s back. 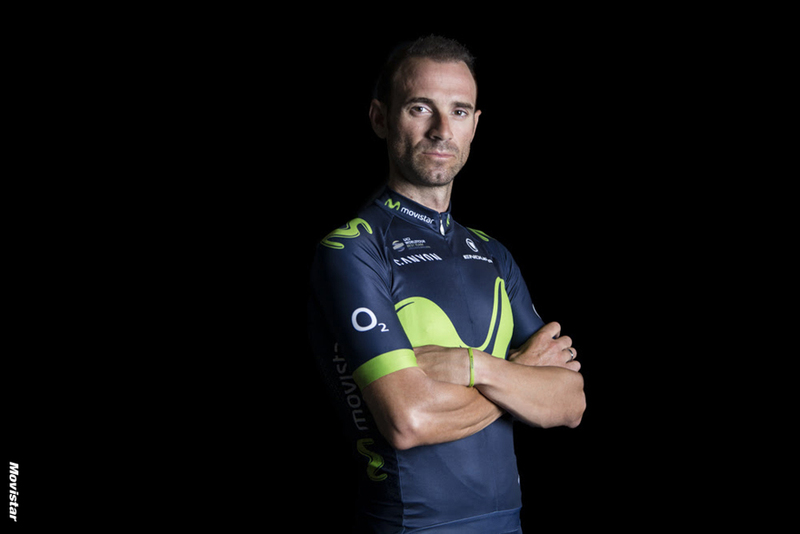 Aerodynamic advances have been an integral part of the development of Movistar’s 2017 kit. Working on a collaborative project with Drag2Zero, Endura have developed chronosuits combining innovative production techniques and the fastest fabrics to help save watts and shave seconds in both time trials and road stages. Extensive testing in Drag2Zero's facility at the Mercedes AMG Petronas F1 wind tunnel helps them to produce aerodynamic garments that employ sophisticated patent-pending processes to trick the airflow over a rider's body and delay the onset of “flow separation”, so reducing drag. By testing in one of the best wind tunnels available and by applying Endura’s extensive knowledge of cutting edge fabrics and advanced garment construction, they’ve been able to produce suits that work in a resilient, real world way with a long list of wins against the clock over past seasons. Experienced Sports Director and former French pro cyclist, Philippe Mauduit has signed to be one of the Sports Directors in Bahrain Merida Pro Cycling Team. 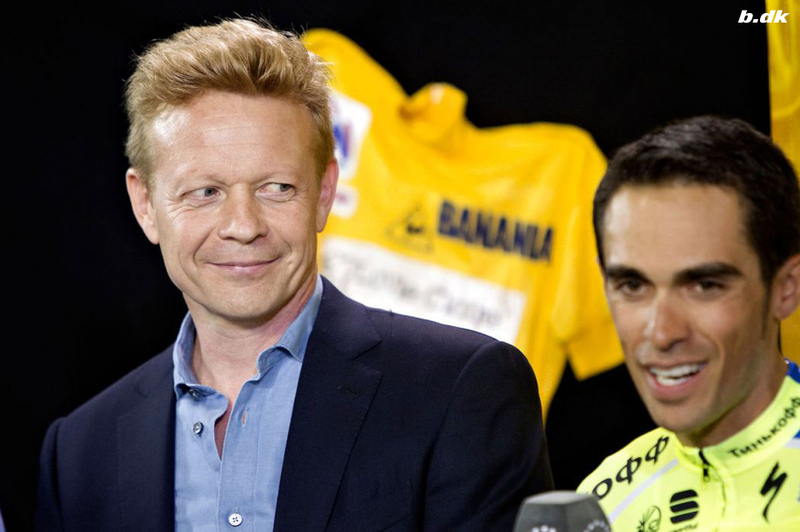 Philippe Mauduit, born 1968 in France has been involved in the world of professional cycling almost all his life. After his professional career in cycling he stayed tightly connected with his favorite sport. In 2003, after retiring from racing, he started his new career as a member of the management in Nippo team. To this day he worked for seven different professional teams and gained a great deal of experiences as a Sports Director. He will be one of six Sport Directors in the Bahrain Merida Pro Cycling Team and definitely a major role player in preparing strategy and tactics for the team. Brent Copeland, General Manager of the Bahrain Merida Pro Cycling Team expressed his thoughts about Philippe as one of the Sports Directors in the new team: “Philippe is one of the most experienced sports directors in all of the professional cycling teams, we are very happy to have him as an important asset in the team, not only is he very good at organizing and arranging the necessities that the sports directors have to do on an everyday basis but he has an exceptional image in the sport of cycling, on top of this he has worked closely with some of the worlds most important cyclists and with this experience we are very optimistic that Philippe will make an important contribution to the already impressive technical staff of the team”. After signing the contract Philippe commented: ”I had a wonderful time with Team Lampre Merida where I had the chance to work with a great family and a very professional staff as well as great riders, I deeply thank all of them for the nice time and racing we had together. 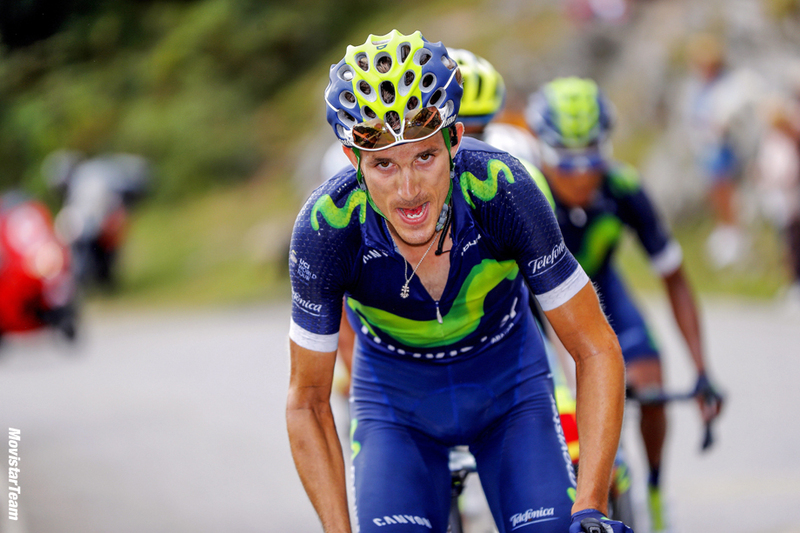 25-year-old Spanish sensation -GC leader in recent Vuelta a España- to wear Blues' jersey for an additional three years. He's one of the biggest sources of excitement for the Movistar Team, and he feels at home in this group. Rubén Fernández (Murcia, ESP; 1991) has extended his current contract with Eusebio Unzué's group, and will wear the green 'M' of the telephone squad for the next three years. One of the best climbers and future prospects in Spanish cycling will thus remain by the side of the nation's only WorldTour team. 2016, Rubén's second season within the Blue ranks, has been a year of regularity and brilliance for the Spaniard. Sixth-place finisher in two WorldTour stage races like Down Under and Pologne -both results fundamental for the Movistar Team's fourth consecutive WT title- as well as in the Vuelta a Burgos, he became a household name thanks to a sensational Vuelta a España: 2nd atop the Mirador de Ézaro, GC leader for a day and superb helper for Nairo Quintana, who celebrated alongside the Murcian (33rd overall) as he triumphed in Madrid. With Valverde and Quintana already signed through 2019, Fernández confirms himself as a bet for future by a Movistar Team which holds 27 riders under contract for next year. The new season will kick off on 15 January, as the Tour Down Under takes the curtain up in South Australian lands. During the team meeting in Darfo Boario Terme, the cyclists who'll be members of the roster of TJ Sport in 2017 have met the members of the technical staff, of the medical staff and of the structure in charge of the training and the evaluation of the performances. No new entries in the group of the sports directors, which will in continuity with the past years. 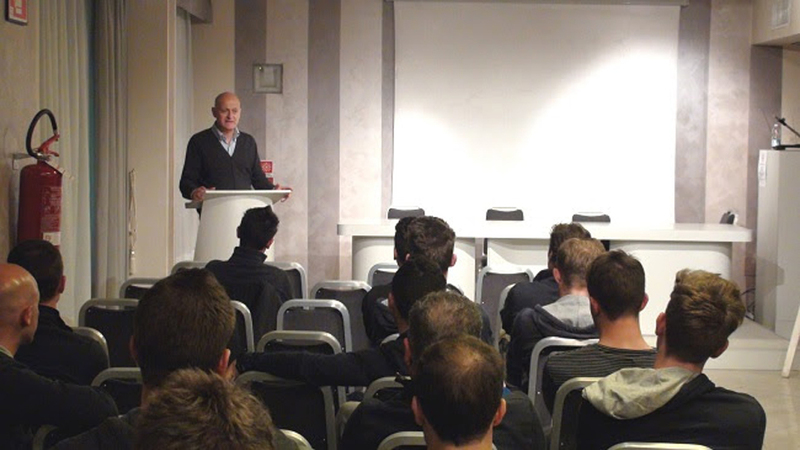 The medical staff will be supervised by a well-know professional who had worked in the cycling world for years, who's Dr Roberto Corsetti (in photo, during a meeting with the cyclists), and he'll be supported by Dr Antonio Angelucci, by Dr Michele De Grandi and Dr Pietro Ronchi. Dr Roberto Corsetti will also coordinate the staff in charge of the training programs and the evaluation of the performances, whose members will be Samuel Marangoni and Giacomo Notari, who'll receive the support from Marco Marzano. The organization fulfill the requests by UCI. Sports directors: Orlando Maini, Marco Marzano, Simone Pedrazzini, Daniele Righi, Mario Scirea, Bruno Vicino. Medical staff: Doctor Roberto Corsetti (responsible for health and preparation structure), Dottor Antonio Angelucci, Dottor Michele De Grandi, Dottor Pietro Ronchi. Training and performances evaluation: Doctor Roberto Corsetti, Samuel Marangoni, Giacomo Notari, assistant to Marco Marzano. A week after the team members had successfully conducted its first training camp and the first official presentation in Poreč, Croatia in Valamar Diamant Hotel 4* team is continuing to prepare all the agreed details at the Camp for the coming season. Let us give you some more impressions about the Training Camp in Poreč we had: Alex Carera, Marketing and Business Manager of the Bahrain Merida Pro Cycling Team expressed his thoughts about their first Training Camp in Poreč: "With great pleasure, I must say that our first official training camp has been a big success. We were looking forward to it because it was the first occasion to be acquainted to each other and starting to build our group and strong sports collective. I was very happy to see that since the very beginning, there was a family atmosphere and it did not seem that many of us were strangers to each other. I believe it has been the best way to start our project. In practical terms this first Bahrain Merida Pro Cycling Team - Training Camp was very important for laying the foundation of the new season, the first one for our team, so even more important. Riders discussed the schedule with trainers, sport directors and sponsors and had the chance to meet all of them and take their measures for the equipment. Not only, in Poreč the Bahrain Merida Pro Cycling Team “opened up” to journalist for the first time, with press conference and one-to-one interviews that gave opportunity to the world of cycling to know better about our great project and I must say that the feedback we had - through social media as well – has been amazing. 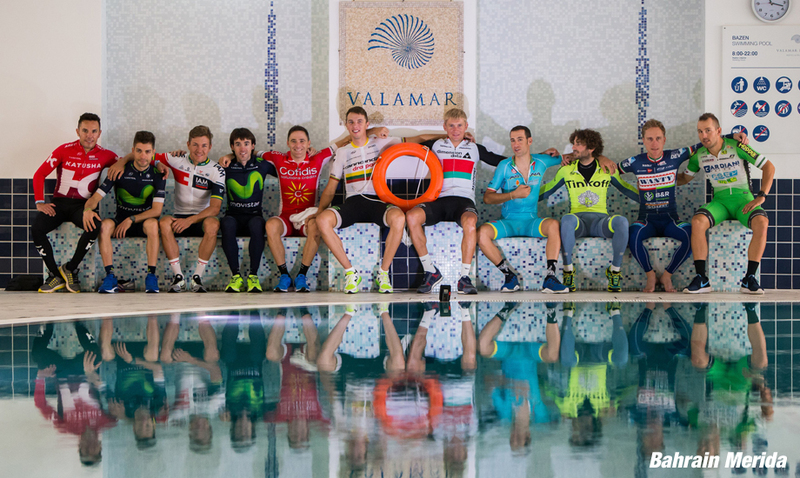 We have to thank Valamar Diamant Hotel, for a perfect location to host the training camp and the activities we had. A very comfortable place for our riders, comfortable and nice rooms, pleasant atmosphere, very well equipped gym and all other excellent facilities and services and delicious food!" The representative of the Valamar Riviera company, Davor Brenko, Vice President of Sales and Marketing said about their cycling destination and Bahrain Merida Cycling Team’s first Training Camp: "Arrival of top athletes like Bahrain Merida Pro Cycling Team in our Valamar Diamant Hotel in Poreč is a great confirmation of our destination as a sports and cycling venue, as well as the confirmation to Croatia in general. Many years of targeted investment and the promotion of this type of tourism and offers can be fruitful like this Training camp of Bahrain Merida Pro Cycling Team. The configuration of the terrain, excellent infrastructure and excellent facilities for our guests are also adapted for active professional athletes as a great base for further development of a truly superior cyclotourist offers. From the very beginning of strategically developing, Valamar Riviera and its' destination, are using the resources and full potential in order to offer guests exactly what they're looking for. We are known as the Croatian leaders of the development of sports offer, including cycling. We have developed six specialized bike hotels and are offering the highest standards of service for which we are also unique and known. Valamar loves and supports sports and cycling, and this is an excellent example for the active holidays we are offering by giving the focus to the shoulder seasons in the overall destination strategy. Therefore, we have launched the brand Valamar Loves Bike which we want to promote by this kind of holidays, upon we develop and support projects and events such as Valamar Terra Magica." The surgery which Valerio Conti underwent on Thursday, he suffering from a broken wrist after a crash while training, was successful. In the Casa di Cura Villa Benedetta in Rome, Professor Francesco Fanfani, one of the best specialist surgeon for the orthopedy of the hand, performed the surgery using a low-invasive technic. The recovery is expected in 45 days. The French Direct Energie team have had a fair 2016 season and they have made this video to celebrate their successes.